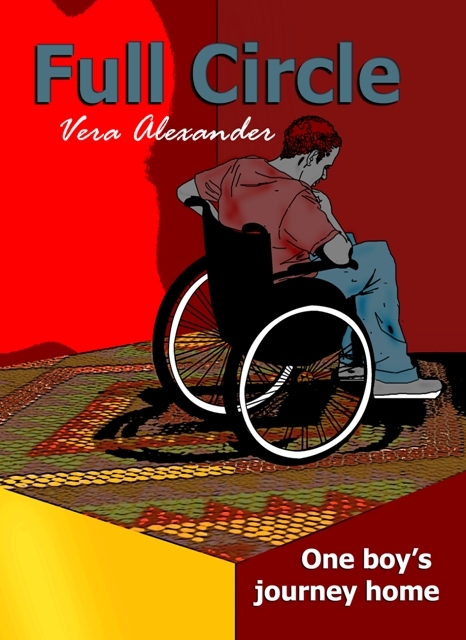 On Wednesday 27th at Exclusive Books, Pavilion, a new book by Vera Alexander entitled Full Circle will be launched. This book will also see the light of day on the 26th at the ICC under the banner of the Arts and Culture Libraries Conference. And Vera has a stand at the Durban City Hall on the 2nd of December with the Disability Conference where her books will also be available. Vera, who has been writing books for small children, became intensely involved with physically challenged learners after a spell of teaching at the Open Air School in Durban last year. Her new book is about a vibrant and energetic young boy who meets with an accident and becomes a paraplegic. The story is about his adaptation to life in a wheelchair, and his renewed joy of life.